Turquoise is one of the oldest gems known to man. Ancient Persians began mining turquoise over 2000 years ago, using it to cover the domes of palaces and houses of worship. Persian turquoise, with it's rich blue shade, is some of the finest in the world. And it was because of the beautiful hue of the stone that the ancient Persians believed it to be an earthly representation of the sky. Egyptian use of turquoise can be traced back to the tomb of a Second Dynasty queen, but it was most likely in use from the dawn of the Egyptian civilization. The Egyptians created gorgeous jewelry from turquoise and carved it into scarabs and other sacred figures. The tomb of King Tut held a substantial amount of turquoise, including the gorgeous inlays on the iconic burial mask of the boy king. In the Americas, Natives also began mining turquoise thousands of years ago. Some native legends tell that once the rains returned after a great drought, the People danced and rejoiced. They wept with joy. Their tears mixed with the rain and seeped into the earth and became turquoise, or the "Sky Stone". The Aztecs used turquoise in intricate masks and for ceremonial adornments. To them, it was a sacred stone worthy of their most important rituals. For the Mayans, turquoise was so revered that it was reserved solely for the gods. It was illegal to wear or own. 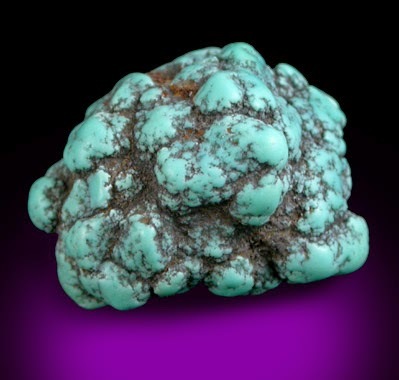 Turquoise was also an important stone for the natives in the American Southwest. The ancient Anasazi people opened their turquoise mine by 1000 AD. Use among the Navajo also dates back thousands of years. But it was, arguably, the Apache who prized turquoise the most. The Apache believed that a piece of turquoise attached to an arrow or spear would assure a lethal accuracy. A shaman had to acquire and carry a piece of turquoise to command the respect of the tribe. To this day, turquoise remains a sacred stone to many Native tribes. The name turquoise comes from the French phrase pierre turquoise, which translates roughly to "Turkish stone". 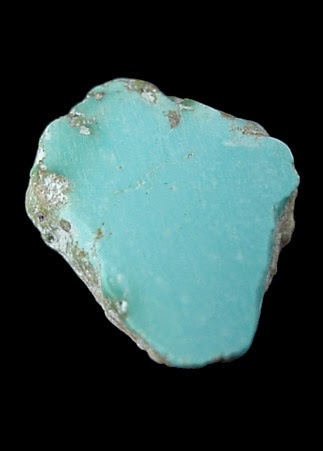 In fact, turquoise was once known as Turkis or Turkey Stone throughout Europe. Most turquoise that entered into Europe did so through Turkey, and early Europeans erroneously thought that stone itself was Turkish as well. In reality, most of the turquoise purchased in Turkey had been mined throughout the Middle East. Turquoise is one of three traditional birthstones for the month of December. The other two stones are blue zircon and tanzanite. An important stone for Aquarians, turquoise counteracts and moderates mood swings. It helps the Aquarian avoid the urge for new things and to find appreciation for what he or she already has. It is also helpful in countering the indifference that some Aquarians must deal with. For the Gemini, turquoise protects from negative influences and absorbs unhealthy vibrations. It is also useful for maintaining spirituality, purity and vitality. Librans can attain a sense of harmony and balance through turquoise. It uplifts the spirits and is useful when dealing with difficult situations. The throat chakra is all about communication, and turquoise is a wonderful stone to use in this area. Use turquoise to assist releasing old promises and inhibitions. Turquoise helps the spirit express itself and is useful for the exploration into past lives. Turquoise helps articulation and empowers the timid speaker. Turquoise is the master healer stone. It has long been used as a treatment of mental issues, once being a common cure for "insanity". Today, turquoise is used to help those that suffer from depression and anxiety attacks. Turquoise encourages mental and emotional stability, providing a calming effect. 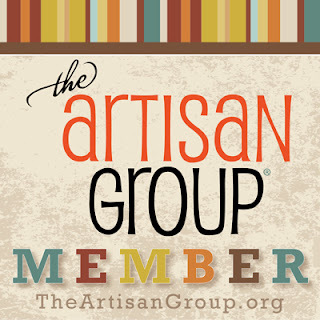 Turquoise assists with issues involving the brain, eyes, and neck -- all which can trigger headaches and migraines. Placed on the forehead during a headache, turquoise is believed to relieve the pain and any inflammation that may have triggered the attack. 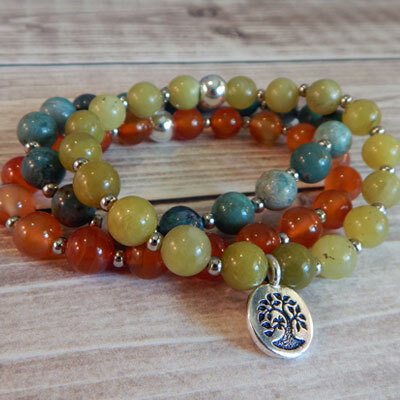 Worn around the neck in a necklace or pendant, turquoise heals lung disease and fights against allergies. It's useful for the prevention of tracheitis and bronchitis. Turquoise is very beneficial to the general well being of a person. It enhances the immune system and assists in absorption of important nutrients. Turquoise is relaxing and detoxifying, restoring good health. It was once common to ingest turquoise to cure stomach disorders, to stop internal bleeding, and heal ailments of the hip. Today, turquoise is placed on these areas to assist in healing. Turquoise is also useful in fighting issues from excess acidity, such as gout and general stomach discomforts. For some Native Americans, looking down to see an unexpected crack in a turquoise ring meant that the stone "took it", meaning it absorbed the blow meant for the wearer. Others believed that the stone would change colors to imply danger or negativity. It has been used to protect both horse and rider on long journeys and is useful for travelers even today. If given by a friend, turquoise protects from negativity and brings good fortune. It has long been known as a symbol of true friendship. Turquoise can stimulate a person to initiate romantic love as well. It also helps create spontaneity in relationships, enhances trust, and helps couples solve petty arguments. Believing it to bring good fortune, the Persians used turquoise as a good luck charm. It was often sent in to battle with soldiers to prevent physical injury and assist in victory. 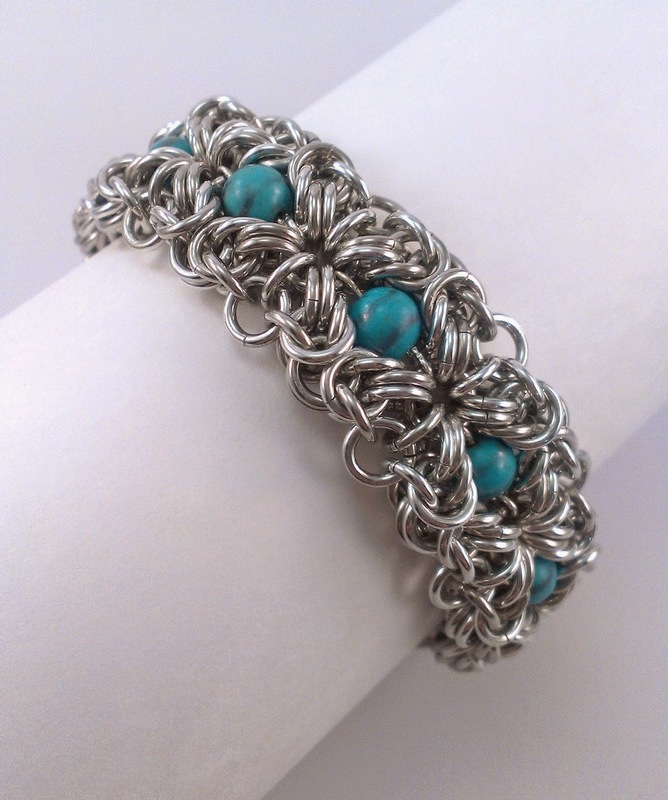 In the Middle Ages, turquoise was used to bring happiness to women and success to men. Turquoise restores depleted energy and lifts sagging spirits. It is a stone of empathy, and helps one understand the causes of happiness and sadness so that they may be mastered. Turquoise promotes self-realization, stabilizes mood swings, and dispels self-sabotage. Turquoise can assist in balancing the many forces of life and induce feelings of serenity and peace. Turquoise embodies the wisdom of basic truths. It induces wisdom and understanding of both the spiritual and mundane. Turquoise helps resolve arguments with intelligence and understanding. Believed by many cultures to be a sacred gift from the gods, turquoise is a naturally spiritual stone. Native Americans believed that turquoise improved the connection of man and spirit. It boosts psychic abilities and is believed by many cultures to be the embodiment of heavenly powers on earth. Turquoise colors range from the iconic turquoise-blue, to sky blue, bluish-green, or apple green. It can contain flakes of pyrite or black oxide veins. 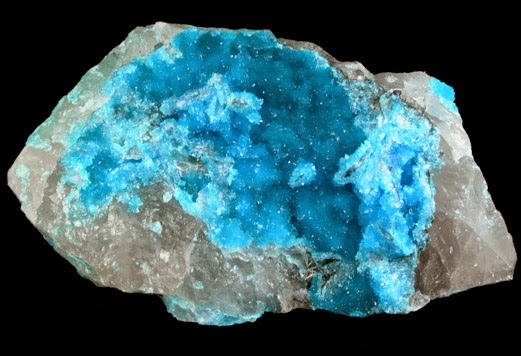 Often turquoise grows along other gemstones such as chrysocolla, apatite, beryl, and serpentine. Turquoise is found worldwide, Some notable locations include the American Southwest, Sinai Peninsula, Israel, and Mexico. Turquoise can be scratched by harder stones and other materials. 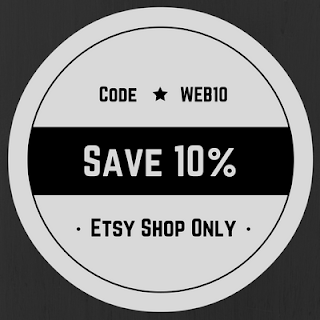 Store turquoise away from any items that might scratch the surface. Household chemicals, perfume, lotion, hair spray, sunscreen, and cosmetics can all damage turquoise. 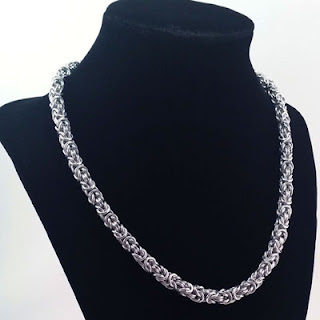 Never use commercial jewelry cleaning chemicals or ultrasonic cleaners on turquoise. Avoid prolonged sunlight exposure as this can discolor the stone. Gentle soaps and a soft brush are sufficient for cleaning turquoise.